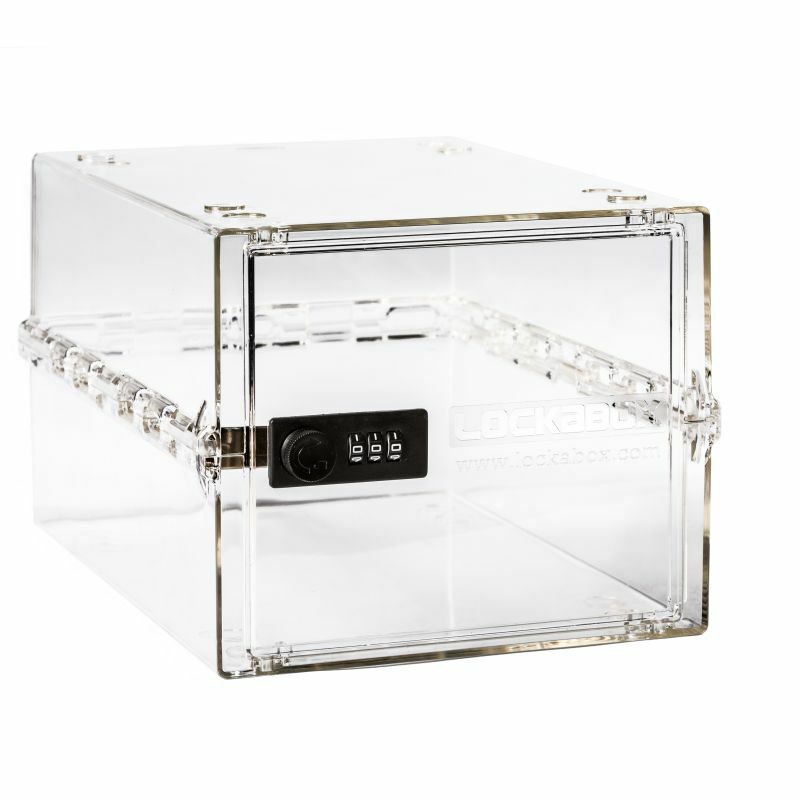 A food-grade container that keeps contents secure, organised and protected, the Lockabox Classic Lockable Storage Box is useful for keeping sensitive medicinal items out of reach. For those looking after dementia sufferers, it can be incredibly difficult to keep medicines or hazardous toiletries safe. 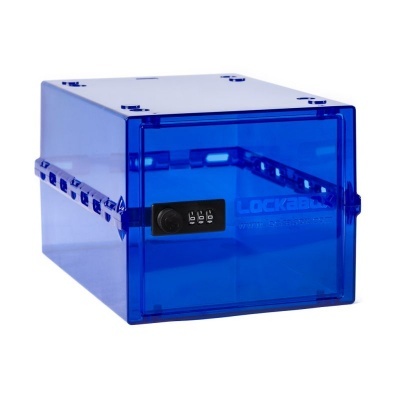 The Lockabox Classic Lockable Storage Box provides an incredibly simple and effective way for carers and family members to keep potentially dangerous items safe from dementia sufferers. 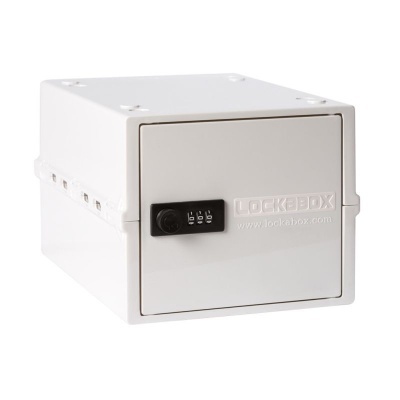 The code combination lock provides a level of security that makes the Lockabox very suitable for protecting sensitive medicinal items or toiletries from dementia sufferers whilst keeping them easily accessible for the carer. Other possible uses for the Lockabox include safe storage of craft equipment and small hazardous items and separation of personal items for privacy. 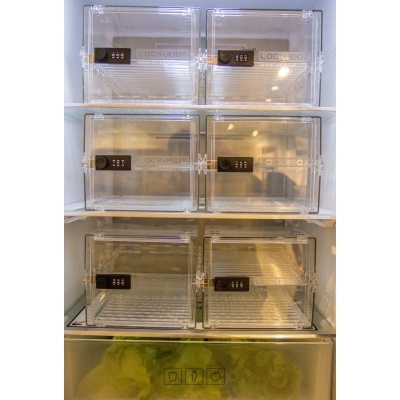 It can be used in a fridge, in a cupboard, or on a shelf. Whether you’re in need of a compact safe space for the home or healthcare environment – look no further. The Lockabox is available in several different colours which have different benefits. 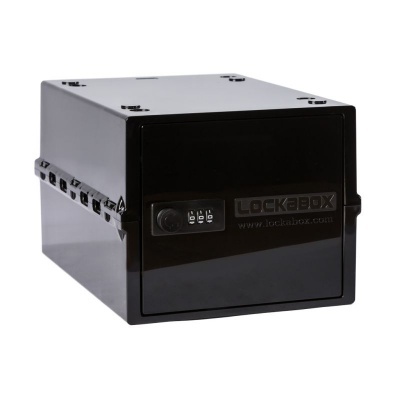 The Black or White opaque finishes are great for privacy or sensitivity as they hide the Lockabox's contents. 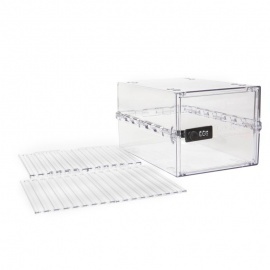 Alternatively, the Crystal Clear finish allows everything to be seen for quicker recognition and easy checking. 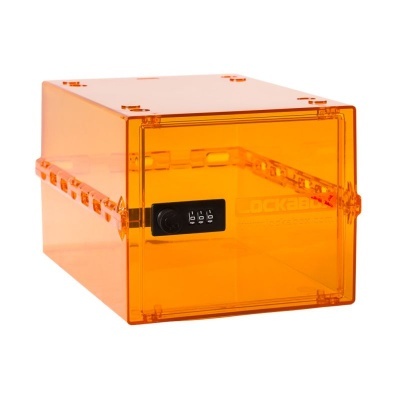 Finally, the tinted colour finishes are useful for organising and identifying multiple Lockaboxes. 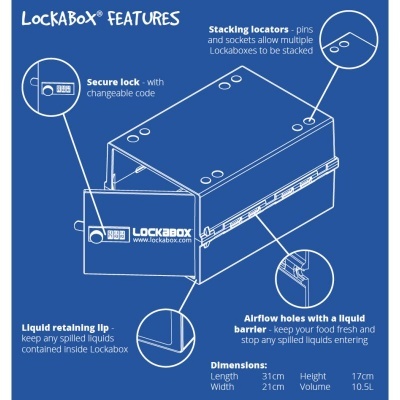 Improving the organisational capability of Lockaboxes, the Lockabox Shelf Pack comes with airflow inserts which improve hygiene and can be removed at any time for cleaning.